Random orbital sanders combine the benefits of orbital and belt sanders and use 125mm Discs or 150mm discs , they are also known as Dual Action or D.A. 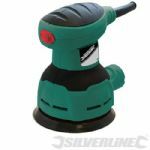 sanders(Replacement Pads are available) They have a sanding pad that oscillate at high speed and also rotates, the random part simply means that the sander can be moved in any direction without causing damage to the surface. 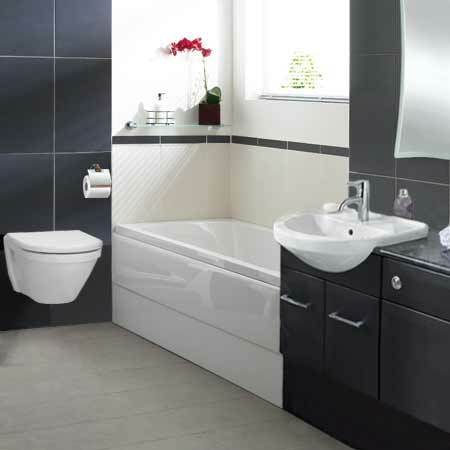 These elements ensures that same sanding pattern is not repeated over the sanding area, as such can produce fine finishes, even on contoured surfaces. These sanders are versatile enough to tackle paint and rust removal, and polishing, with the right accessories. 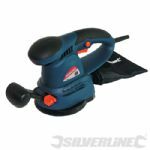 It can work along and across the grain making it an ideal finishing sander.